There are three main pillars in the employee performance management cycle. In addition to the pillars there are also three main processes that revolve around the three pillars. 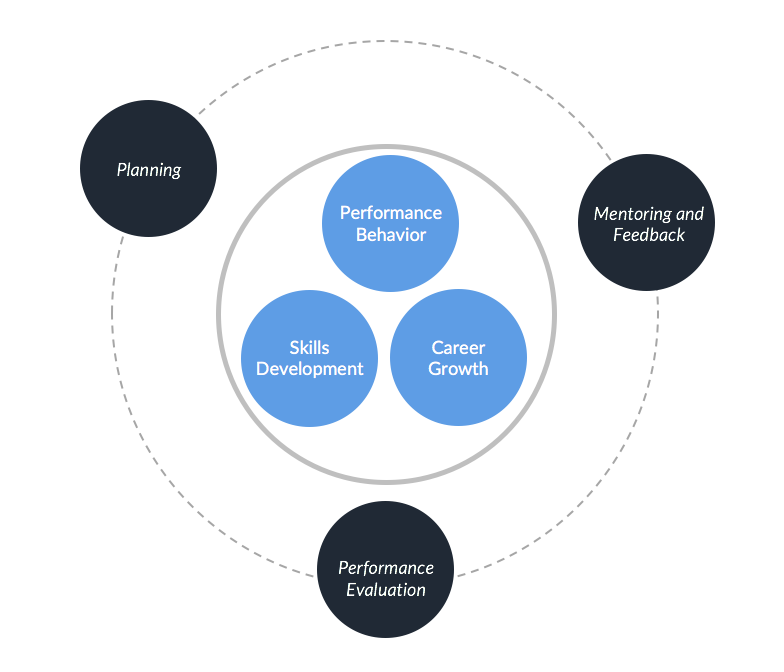 What is performance management cycle? Performance management cycle can help companies to establish an effective performance management system and make the most of the people power available in the company to help drive employee engagement and team growth. Performance Behavior refers to the behavioural attributes the employee demonstrated throughout the performance cycle e.g. leadership, team work, communication. Skills Development refers to the competencies the employee has and develops through out the performance cycle. These can be technical and non-technical. Career Growth refers to the employee plans for the future and career direction they want to pursue. Planning phase involves both employees and managers. It refers to setting goals and objectives during the employee performance cycle. During this stage managers and employees also agree to what standard the goals need to be achieved and how are they going to be measured and thus it is important to set SMART goals. This stage is also a great opportunity to create personal development plans for employees that will identify the skills, development needs and training that the employee will need to develop those skills to achieve the goals set. Mentoring & Feedback refers to the coaching of peers and team members and providing feedback. In order to effectively manage the team, the feedback and 1:1 meetings should happen on a regular basis. The formal and informal conversations should enable both parties to stay on top of the progress and lead to successfully reaching the goals and objectives set. It is also essential to track the progress and identify challenges that might have occurred, which can be facilitated for the performance reviews at the end of a performance cycle. Performance evaluation refers to the performance review at the end of the employee performance cycle. The review form should include goal-based assessment questions, contribution to company values, and a general "what's been going well" and "what could be improved" section. This phase should enable the employees to understand how their role contributes to the overall success of an organization and improve the employee engagement.It is also vital to acknowledge the contributions of employees and provide them with an appropriate reward in order to keep them motivated and productive. However, over the past decade companies continue to recognize the importance of continuous performance management, abandoning the annual feedback and reviews and moving towards more ongoing approach of managing the workforce. The goals and objectives are set on more on more frequent basis focusing on smaller achievements over unrealistic annual objectives. 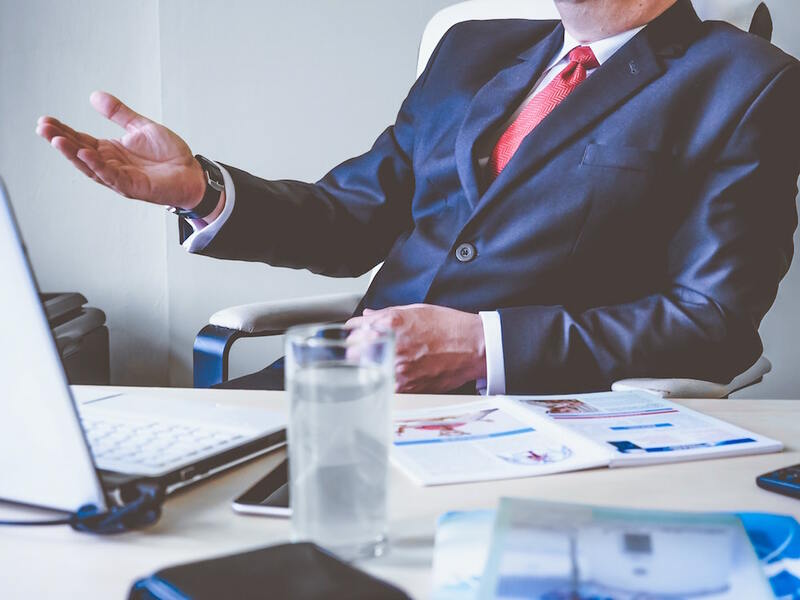 Therefore, the need for feedback and 1:1 meetings becomes increasingly important to manage the process effectively and enable employee development and retention.